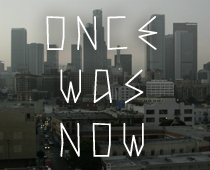 What we do: Once Was Now is a website that focuses on underground tech house music from all around the world. Featuring a select amount of events and music that reflect the quality rhythms which appeal to us, sharing unique sounds with the rest of you. Who we are: We are, we are one person who is truly a lover of all things that make me move, both musically and metaphorically. An artist who works with photography while living in Los Angeles. You can see what I do HERE. Once Was Now stems from a long time love I’ve had with dance music – it’s not a job for me, I make no money doing this. Rather it’s an outlet where I get to support those who inspire me musically while sharing it with others who appreciate.